HOGEYE CAMERA SETUP IS EASY. You'll catch more feral hogs immediately. CAPTURE FROM OUR MOBILE APP. Receive an alert when it's time to trap. WORKS WITH YOUR OWN TRAP. The HogEye Camera works with any trap, anytime, anywhere. Give us a call to assess your Feral Hog problem. We develop a plan for your trap and HogEye Camera. Setup is simple. Choose from our custom installation or shipping option. How much money have you lost in Feral Hog damage? Feral Hog damage costs $1.5 billion annually in the U.S. How much money have you lost from Feral Hog damage? How long will you allow Feral Hogs to wreak havoc on your land? Reclaim your land, prevent unnecessary losses, and protect your investments with HogEye Cameras. Helping landowners protect nearly 1 million acres daily. Protect Your Investment from Feral Hogs. Payment Plans available with as low as 0% financing for 24 months! Click here to apply. Stop Feral Hog damage before the problem escalates. At HogEye Cameras we want to help you be a good steward of your land. To do that, you need tools to protect your land investment against all types of threats. One threat that can reduce the value of your land dramatically is Feral Hogs. Feral Hogs destroy land, crops, livestock pastures, farm equipment, native wildlife and habitat, and carry disease. Feral Hogs can carry 45 different parasites and diseases. The three of highest concern are brucellosis, pseudorabies, and tularemia, which can infect deer, cattle, horses, dogs, sheep, and goats. A study by Louisiana State University (2014/2015) conservatively estimated $1.5 billion in annual damages to property in the United States due to Feral Hogs. How much have Feral Hogs damaged your land or other investments? How much have you lost in revenues from damaged crops or pastureland? The really bad news is if you have a few Feral Hogs on your land today, in just a few years, you could have several hundred, and damage costs will escalate quickly. The good news is you can easily protect your land investment from Feral Hogs with the right tools. We understand the damage Feral Hogs can do to your property, and we know how to stop it. We help hundreds of landowners protect nearly 1 million acres daily using HogEye Cameras. HogEye Cameras provide real-time video monitoring of your trap using your smartphone, allowing you to strategically drop the trap to maximize the number of Feral Hogs that you catch each time. That saves you time and money. HogEye Cameras allow you to trap from anywhere at any time using any trapping system. HogEye Cameras are durable and reliable, easy to setup and use. HogEye Cameras is the tool you need to manage your Feral Hog problem to protect your land and other investments. Install the HogEye Camera onto your trapping system, and start catching Feral Hogs immediately to protect your land and other investments. So, schedule a call today and take control of your Feral Hog problem. It’s time that you had the right tool to protect your land and other investments against the damage costs that Feral Hogs cause. Get our FREE guide and start learning how to catch Feral Hogs more effectively with HogEye Cameras. 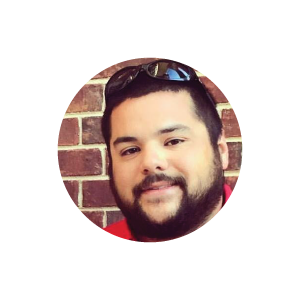 Check your email! 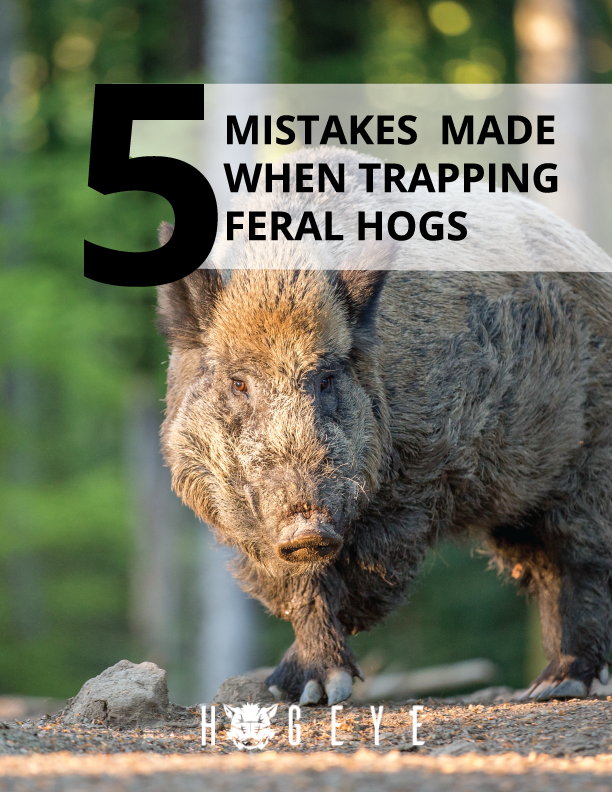 We've sent the 5 Mistakes Made When Trapping Feral Hogs so you can start protecting your most valuable investment from Feral Hogs.